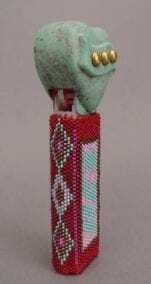 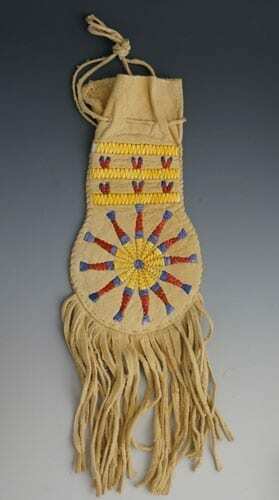 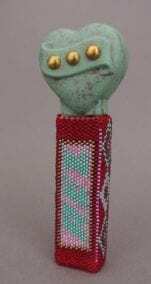 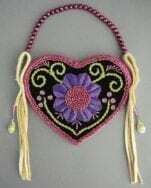 A contemporary quilled pouch attributed to Dorothy Brave Eagle, Lakota. 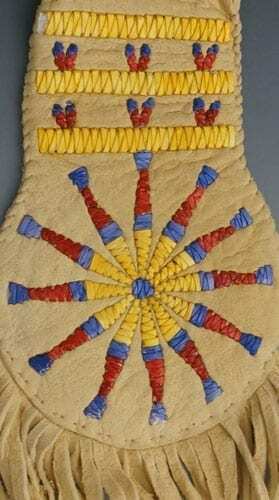 Beautiful design of red, periwinkle blue, and yellow dyed porcupine quills on deerskin. 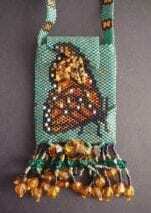 Minor quill loss visible in the last two images (upper left yellow, bottom center blue, and, barely visible, right side blue). 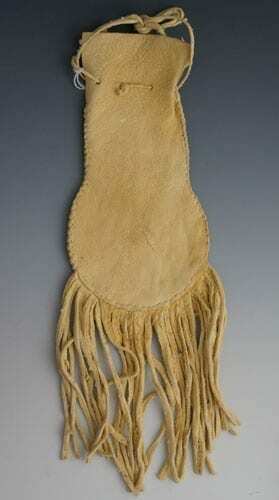 7 1/2″ h x 4″ w; 14″ h with fringe and handle.